I’m still very into my straw weaving pojects! 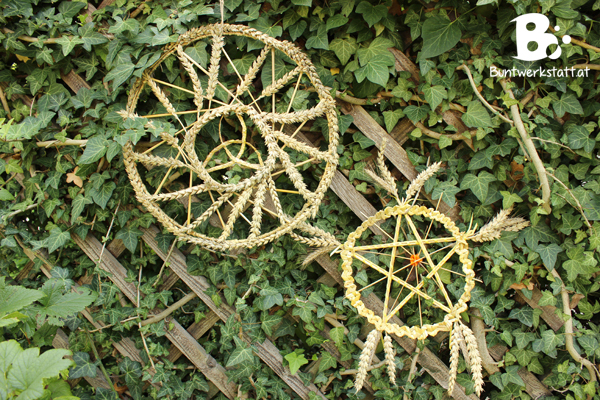 🙂 This time I did a pentagram star with wheat and rye. I used the same technique in my Lavender Star Tutorial. I used 10 pieces of wheat and 5 pieces of rye for my star. 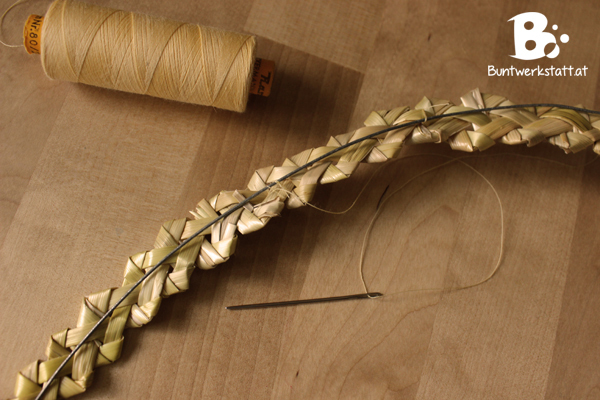 For the straw ring you’ll need several straight pieces of straw and some thick floral wire. Additionally I decorated everything with some ribbons. Let the straw soak in warm water for a little while. This way it will be bendable and easy to work with. 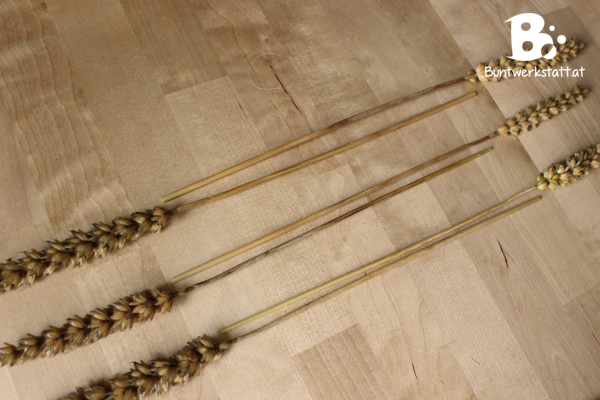 Remove all the leaves from the stems and cut the 10 wheat pieces to an equal length. Make 5 pairs of two. 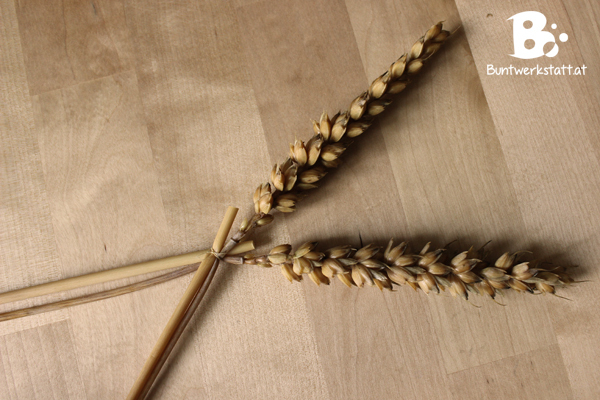 In every pair, one piece of wheat should face the right side and one piece of wheat should face the left side. Cross two pairs on the end in a sharp angle. Tie them together with some twine. Repeat this step with every pair until you have a pentagram star. I described this in more detail in my Lavender Star Tutorial. Feel free to look it up here. Now you have your basic star shape. You could leave it like that, or decorate it further. 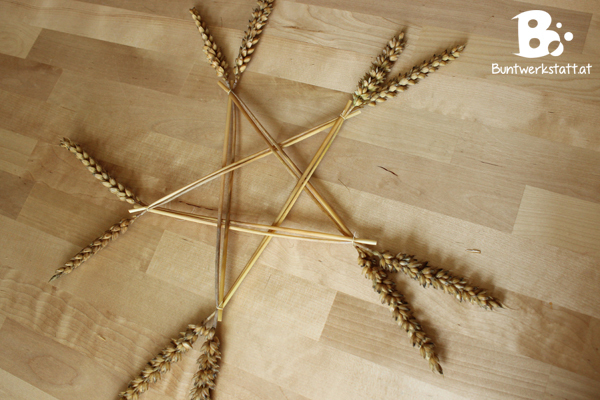 Add a piece of rye in every corner of your star. 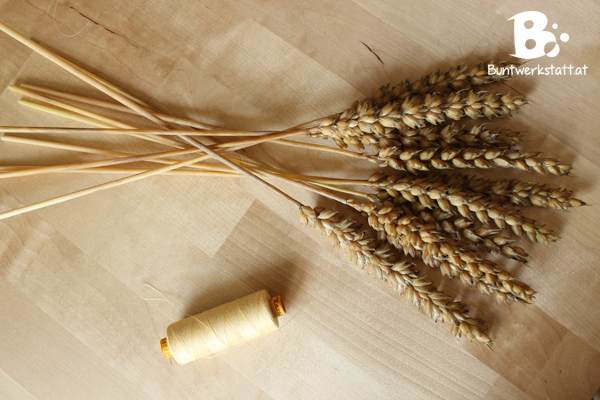 Place it between the two wheat pieces and secure it with some twine. 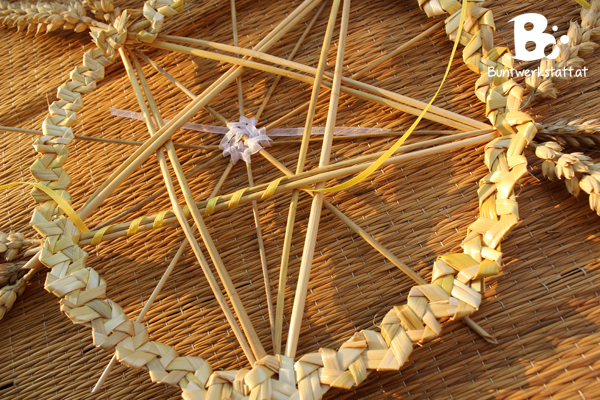 The long stem of the rye piece should face to the middle of the star. When you’ve added all 5 rye pieces, secure them together in the middle of the star. For the straw ring I made a plait. This technique is called “Tyrolean Plait” or “Rustic Plait”. You can find the tutorial for this plait here. Secure a thick floral wire to the back of the plait. I used some straw colored twine for that. 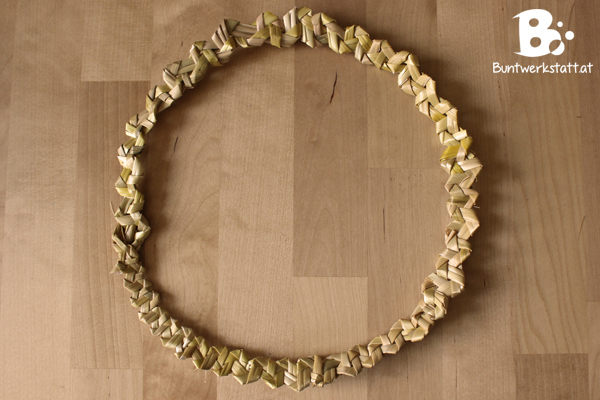 You’ll need the floral wire to form the straw ring. Close the straw ring and sew the ends together with the twine. I tried to make ring that was big enough for the star to fit in it, but the heads of the wheat and rye pieces should stick out. Secure the ring on the star with the twine. Wrap nice ribbons around the star. You can decorate it however you want. I also used some ribbons in the middle to give the star some stability. The straw star looks especially nice as a door or wall decoration. I decorated my garden fence with it because I don’t mind if it gets a little weather-worn. I think it will add to the rustic look, and the birds can eat the grain. 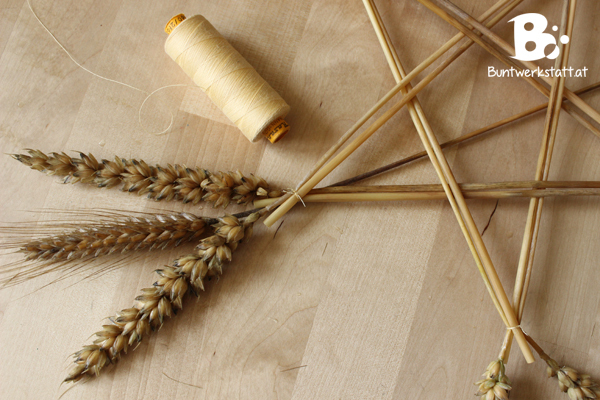 🙂 The tutorial for the straw wheel on the left is coming up next.